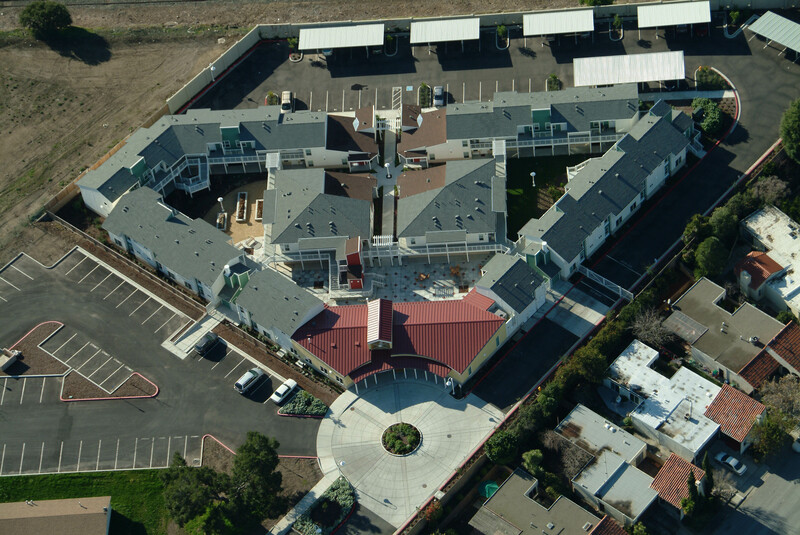 Fremont Oak Gardens is a 2 acre, 51 unit residential development designed for hearing-impaired/deaf seniors. 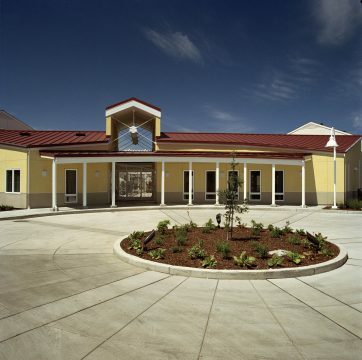 This project includes approximately 3,560 sq. ft. of community space to be used both by residents and the larger deaf community. The two story building complex is developed around three courtyards. The central courtyard is an extension of the community building and is primarily hardscape for large gatherings and has an axial connection to the parking lot in the rear of the site. 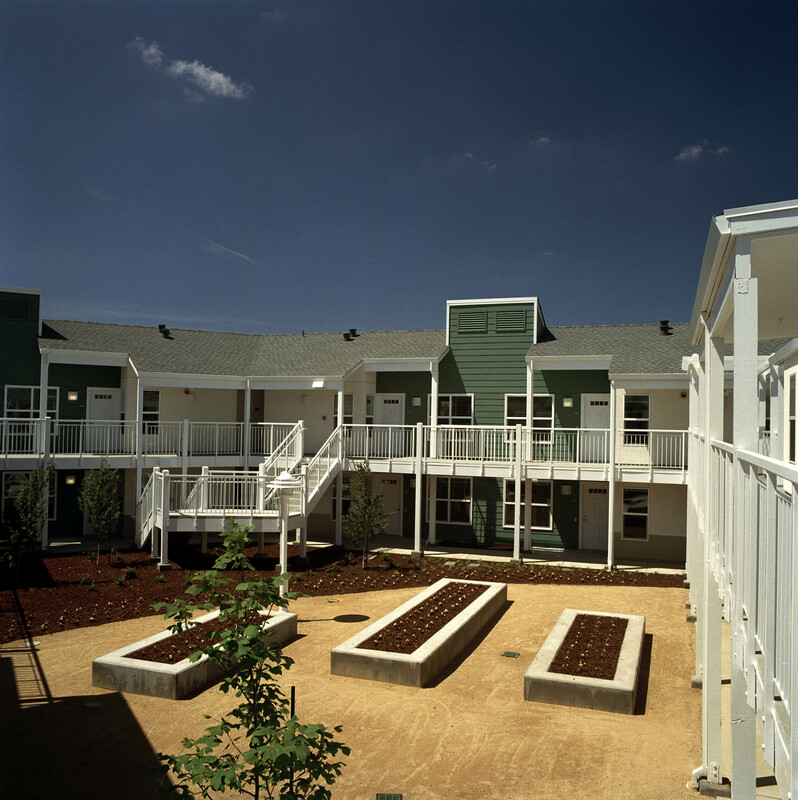 Because visual connections are important in housing design for the deaf, the courtyard design provides many visual links between units. 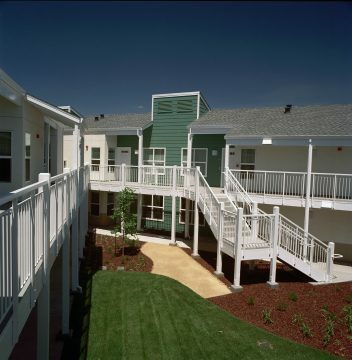 Each unit has a small porch entry looking into the courtyards. 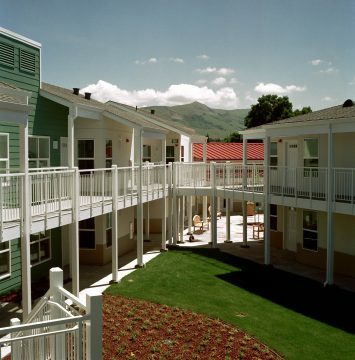 Each unit is approximately 540 sq. ft. with layouts designed to provide clear sight lines throughout living spaces. 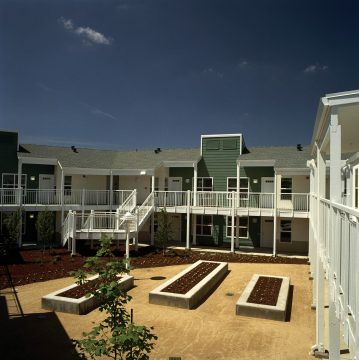 The architectural design team included a deaf architect who provided insight on the needs of the hearing impaired.